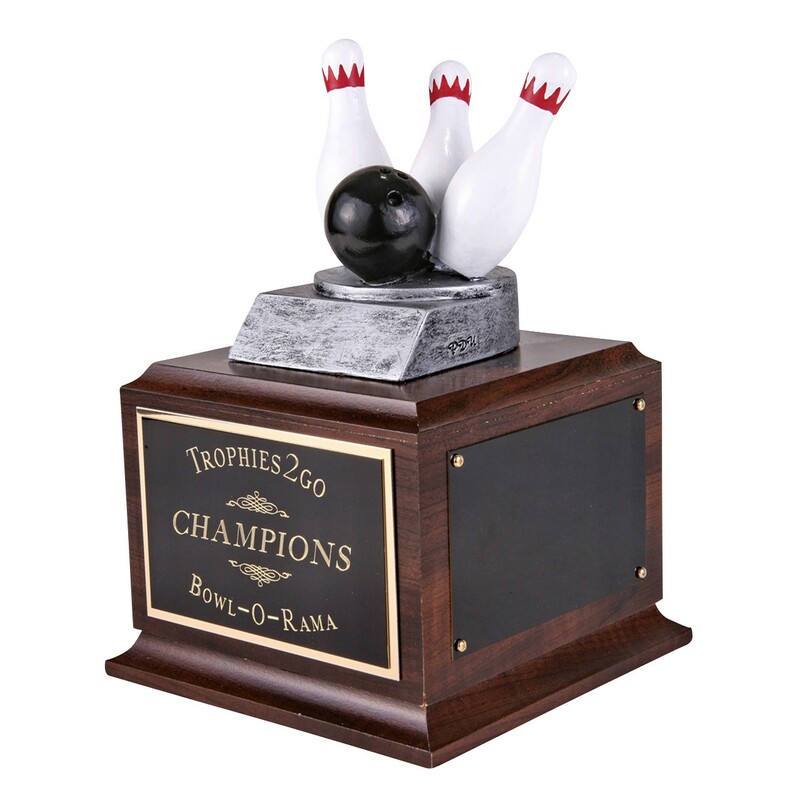 Recognize a great league win with the Perpetual Strike Bowling Trophy! The award features a full-colored bowling ball knocking down three pins above a simulated wooden base. The front plate can be engraved with your league or team name. Add the optional side plates to engrave the names of past or future winners. Note: to add engraving on the side of this trophy, choose the "3 Side Plates" option below and click here to purchase side engraving.